What you need to know to start your day. It's Tuesday, Feb. 12, 2019. Let's start here. Congressional negotiators announced last night they'd agreed to a deal "in principle" that would fund the federal government and avoid a second shutdown. It came as President Donald Trump held a rally in El Paso, Texas, where he made his case for funding a border wall, while across the street former Texas Rep. Beto O'Rourke held an event aimed as pushing back on the president's policies. ABC News' Trish Turner and Mariam Khan talk to us about how both sides came to an agreement. Trump on Sunday tweeted "The U.S. will soon control 100% of ISIS territory in Syria." The proclamation came as Kurdish news agencies reported ISIS militants are fighting back as U.S. and coalition forces advance on the group's last stronghold in the village of Baghouz. ABC News Foreign Correspondent James Longman is making his way to the region and says ISIS still could pose a great danger to the U.S. even if the group loses its territory. 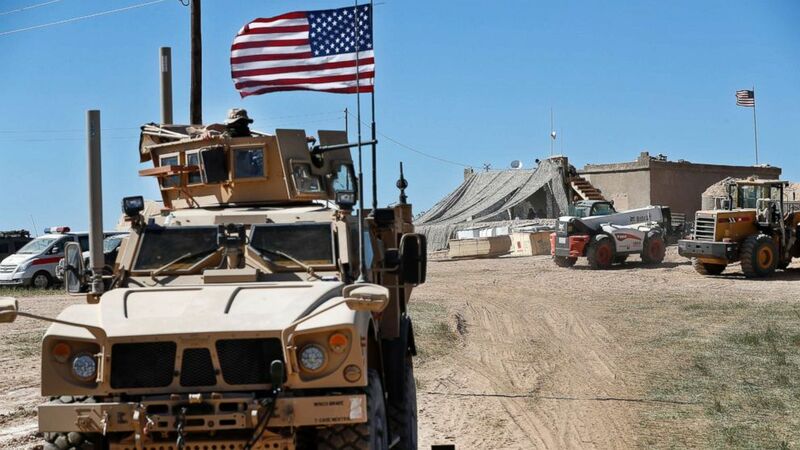 (Hussein Malla/AP, FILE) A U.S. soldier sits on an armored vehicle behind a sand barrier at a newly installed position near the front line between the U.S-backed Syrian Manbij Military Council and the Turkish-backed fighters, in Manbij, north Syria. Democratic Rep. Ilhan Omar apologized yesterday for tweets that House Speaker Nancy Pelosi and other Democratic leaders called "anti-Semitic." 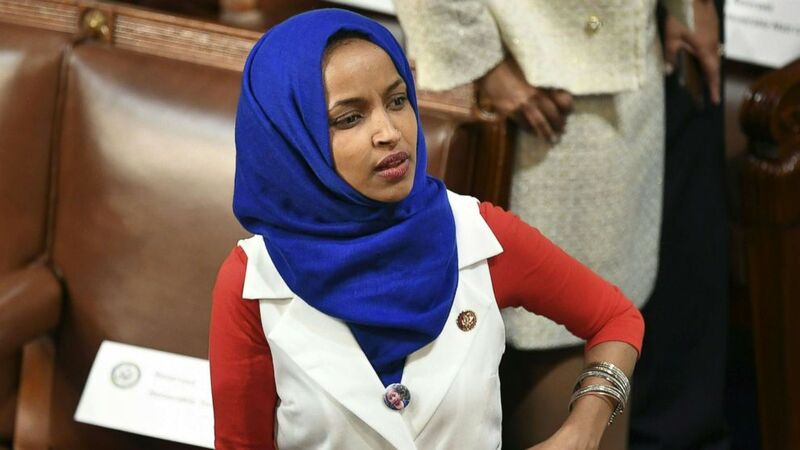 In a note posted to Twitter, Omar said, "My intention is never to offend my constituents or Jewish Americans as a whole. We have to always be willing to step back and think about criticism, just as I expect people to hear me when others attack me for my identity. That is why I unequivocally apologize." ABC News' Jordana Miller in Jerusalem explains the situation. (Mandel Ngan/AFP/Getty Images) Rep. Ilhan Omar is seen in the audience ahead of President Donald Trump's State of the Union address at the Capitol in Washington, Feb. 5, 2019. In a few months, special counsel Robert Mueller's Russia probe will turn two years old, and acting Attorney General Matthew Whitaker recently said it's close to wrapping up. 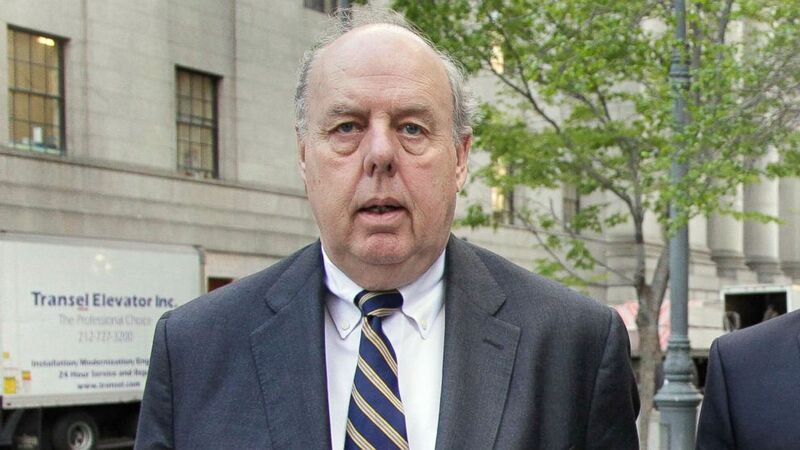 (AP Photo/Richard Drew, FILE) Attorney John Dowd walks in New York, April 29, 2011. ABC News' Kyra Phillips recently spoke to former Trump attorney John Dowd, who believes the public won't actually see a report. Phillips hosts "The Investigation," a podcast that launches today. Listen each week for the latest on the Mueller investigation from the ABC News Investigative unit. Subscribe wherever you listen to podcasts. 'America is not covering up for a murder': Secretary of State Mike Pompeo says the Trump administration is not protecting Saudi Arabia's crown prince for allegedly orchestrating the murder of Washington Post journalist Jamal Khashoggi. 'Some of the worst pain imaginable': A man dies after falling into a pit of sulfuric acid. 'I'm sorry if it still snows in the world but the point is that we know climate change is happening': Amy Klobuchar disagrees with the president. 'There has never been such an invasion': Dozens of polar bears overrun remote Russia villages as, according to scientists, shrinking sea ice linked to climate change forces the animals to hunt elsewhere. What should Stacey Abrams run for next? : Abrams says she's "certainly" going to run again. So which office should she choose? Meet Marianne Williamson, spiritual guru, friend of Oprah's, presidential candidate: The motivational speaker and best-selling author once called the "high priestess of pop religion" is throwing her hat into the 2020 presidential ring. Williamson, a motivational speaker and best-selling author who was once called the "high priestess of pop religion," is throwing her hat into the 2020 presidential ring. 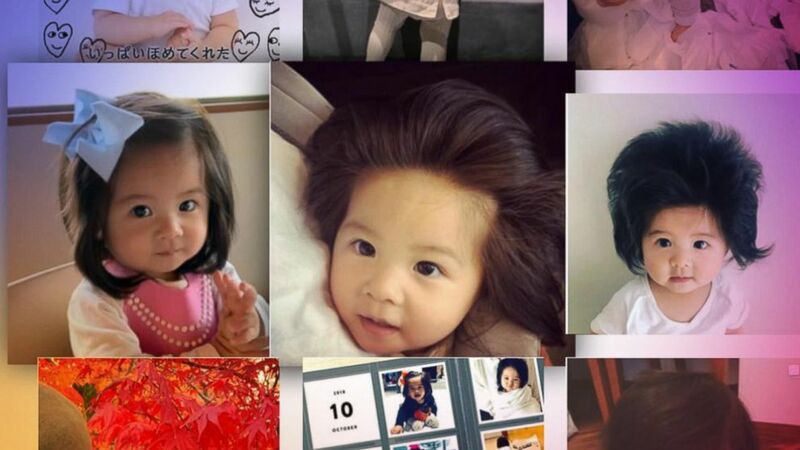 Baby Chanco and the competitive, at times controversial, child modeling industry: Thirteen-month-old Chanco, recently named the face of Pantene in Japan, was discovered on Instagram but industry experts caution that oversharing online can leave kids vulnerable. Thirteen-month-old Chanco, who was recently named the face of Pantene in Japan, was discovered on Instagram but industry experts caution that oversharing online can leave kids vulnerable. 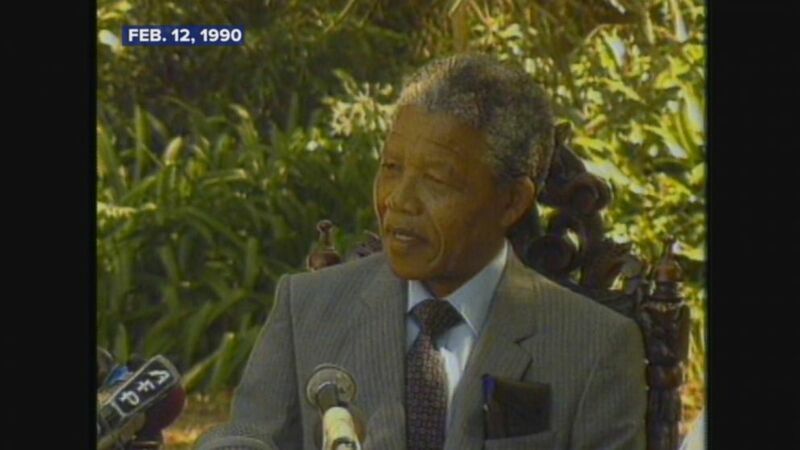 Feb. 12, 1990 -- Nelson Mandela's first full day of freedom. A look at Nelson Mandela's first full day of freedom. Ron Ruggiero, president of the Service Employees International Union Local 105, speaks to striking Denver teachers during a rally on Monday. 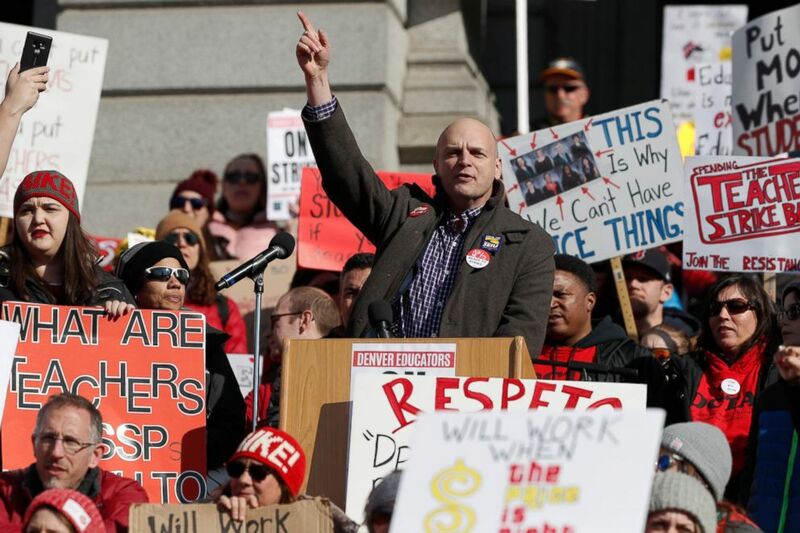 (AP) Ron Ruggiero, president of the Service Employees International Union Local 105, speaks to striking Denver teachers during a strike rally on the west steps of the State Capitol Monday, Feb. 11, 2019, in Denver. 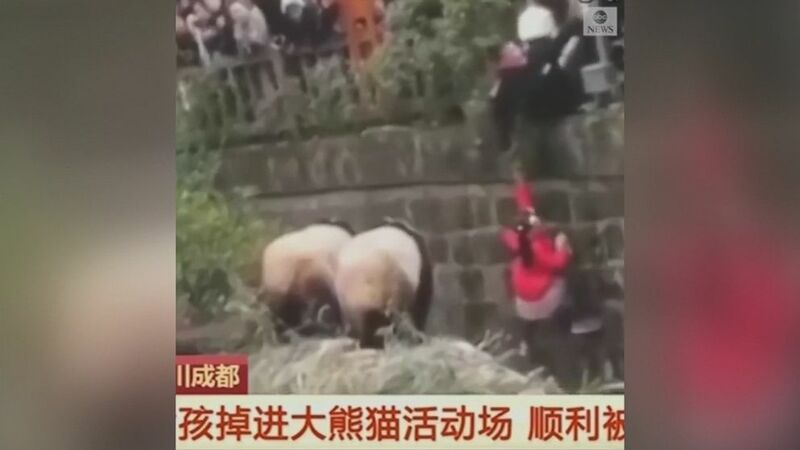 Security guards rescued a young girl who fell into the panda enclosure at a zoo in southwest China over the weekend. All right, you're off and running. Get the latest news on ABCNews.com and on the ABC News app. Details on how to subscribe to the "Start Here" podcast are below.